Call us at 352-364-9112 or fill in the form below. 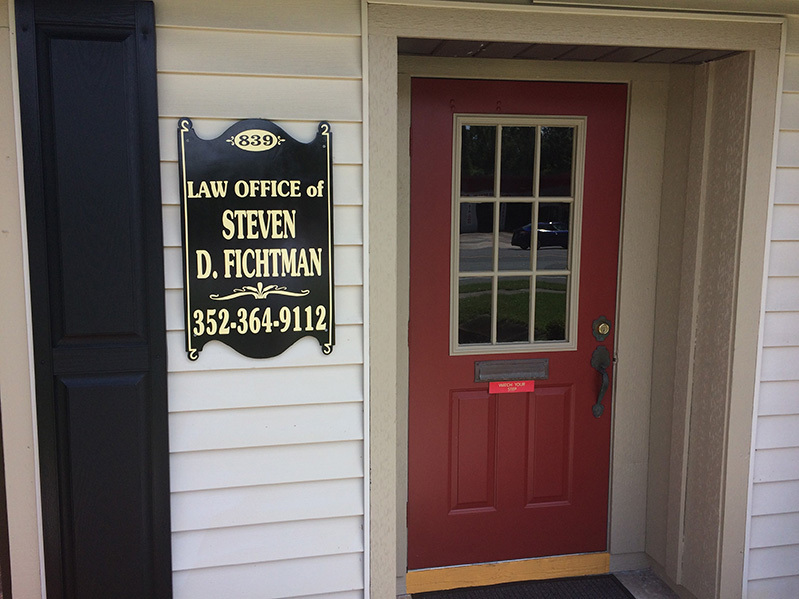 Attorney Steven D. Fichtman has provided professional and compassionate legal counsel to individuals and families throughout Citrus and Hernando County since 2005. Mr. Fichtman provides sound legal representation of for most family law issues, from divorce, child custody, child support, alimony, property division, modification actions, enforcement actions and paternity actions, as well as recovery of attorney fees and costs. If your future is unsure, the Law Office of Steven D. Fichtman will provide you with a clear direction during these uncertain times. In addition, Mr. Fichtman also practices real estate law, and civil litigation including landlord-tenant disputes, quiet title actions, partitions and foreclosures. As your Crystal River Divorce Lawyer, you can rest assured that the Law Office of Steven D. Fichtman will work tirelessly as your advocate during this time of need. We are dedicated to providing sound legal advice based on years of experience to preserve your rights and promote your best interests. Please don’t hesitate to contact our office for answers to your legal questions. Call (352) 364-9112 or contact us online today to schedule a consultation. With over 13 years of legal experience helping those in need, Steven D. Fichtman is someone that you can count on for guidance and results during a trying time such as divorce, child custody, or foreclosure. Mr. Fichtman has dedicated his life and career to assisting his clients achieve a swift, agreeable, and cost-effective solution to their legal issues by developing a strategy to return his clients to a financially secure and confident path ahead. "Very sound, grounded and informed advice on how to minimize my damage to myself in a heated situation. I would use him again!" All of my clients are equally important to me. What you are going through is probably one of the most traumatic circumstances of your lifetime and I want you to know that I care about you and your case and will treat it with the utmost understanding, professionalism and compassion. With my assistance, our office will become a safe refuge for you to navigate the often confusing legal system. In addition to providing a listening ear, I will work with you to provide a legal strategy tailored to your situation with your best interest in mind. Call or stop by our Family Law office in Crystal River to make an appointment and discover the difference we can make for you! © 2018, Steve D. Fichtman, PLLC. All rights reserved Reproduction in whole or in part without permission is prohibited. Site Hosted by Nature Coast Web Design & Marketing Inc.